A forest is an area on a land which is occupied by the small and large trees. The forests are categorized by the amount of rainfall and temperature. The forest that receives a lot of rainfall throughout the year with warm temperatures is called rainforest. The rainforests receive about 250 to 450 cm of rainfall annually. These forests are usually warm with a temperature above 90 F (32 C). Rainforests are sometimes confused with jungles; both are different from each other. A rainforest has tall trees that cover the top of a forest and blocks most of the sunshine. Whereas, a jungle is not a restricted region; it may have small trees, larger trees, open grassy grounds. The organisms living in the rainforest have adapted themselves to live in a particular layer of the forest. Rainforests have 4 layers that are occupied with different plants and animals. Emergent Layer: Emergent layer has the longest trees than all the layers. These trees may reach a height of 55 meters. However, the number the trees in this layer is less than the canopy layer. This layer is mostly inhabited by monkeys, eagles, and bats. 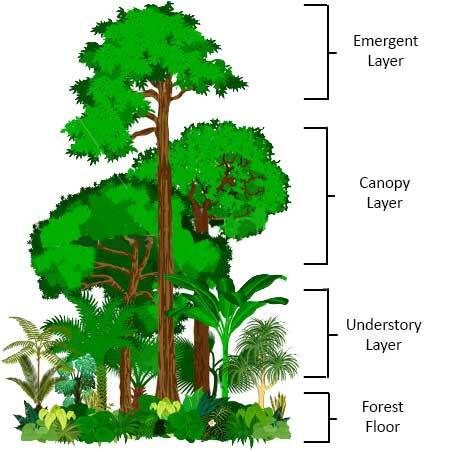 Canopy Layer: The majority of the longest trees are occupied by this layers except for few trees that are in emergent layer. The trees in this layer have a height of 35 to 45 meters. Furthermore, this layers takes up about 50% of all the plant species that are found in the rainforest. Understory Layer: Understory layer occupies the mid-span between the canopy layer and floor of the rainforest. This layer has a large number of insects and plants have large leaves. The other animals that are found in this layer are jaguars, leopards, lizards, snacks, and many more. Most of the sunlight falls upon the canopy layer. As a result, the understory layer only receives about 5% of sunlight. Forest Floor: Forest floor is the ground layer of the rainforest. It receives the least sunlight (nearly 2%) than all the layers. This layer has the majority of those plants that can survive in low light. All the dead plants and their remaining fall in this layer and decay quickly. The decayed biomaterial further furnishes the land with the necessary minerals and allows other plants to get their necessary diet. The rainforest is divided into the two types due to their presence in different temperature regions. These two types are tropical rainforests and temperate rainforests. Tropical rainforests are found in the warm region of the earth near the equator. These forests have a wet climate. They receive more than 170 cm of rainfall annually, but some tropical rainforest may receive about 1000 cm of rainfall. The tropical rainforests cover a large area of the earth. Some of the countries where tropical rainforests exist are Philippines, Sri Lanka, South America, Indonesia, Australia, and Malaysia. Temperate rainforests are found where the temperatures are mild throughout the year. So, they can withstand cold temperatures. These forests exist only in few regions of the earth. Some of the countries where these forests are found are North America, Alaska, Scotland, Ireland, and Norway. 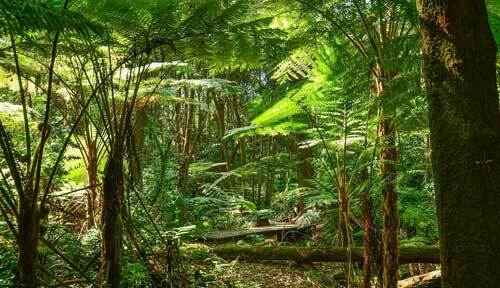 Rainforest covers a very large area of the earth and gives it the green color. The net oxygen produced by the rainforest during daytime is negligible because they take about the same amount of oxygen in the night. However, Rainforest like Amazon plays a vital role in the production of oxygen indirectly. The decay of dead plants produces rich minerals which are washed in the ocean when it is raining. These minerals are food for the small sea creature like plankton. Planktons are producers of the majority of the oxygen on earth. Other than this, rainforests have effects on the formation of the clouds and supplies humans with a great number of herbs for medicines and wood. The area covered by the rainforests on the earth is shrinking day by day. The main cause behind the shrinkage of forests is human activities. Humans have been destroying forests for clearance of the land for their own use. This destruction of forests has accelerated in the past few decades due to the increase in human population. As a result, the environment is badly affected. It is found that 80% of the animals and plants on earth are living in the forests. 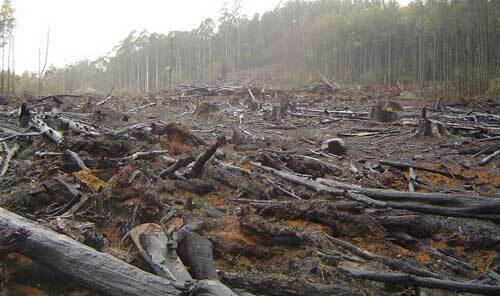 Deforestation has abandoned habitats of millions of species and caused many species to go extinct. Many species are declared as endangered; if certain actions are not taken, these species may go extinct. Another major effect that is caused by deforestation is climate change. Plants in the forests absorb greenhouse gases which protect against global warming. If somehow these forests disappear from the earth the water cycle will disturb and rate of global warming will increase dramatically. Actually, humans are not only destroying the life of animals and plants, but they are also hitting axe on their own feet. Because climate change is also disturbing our own lives. 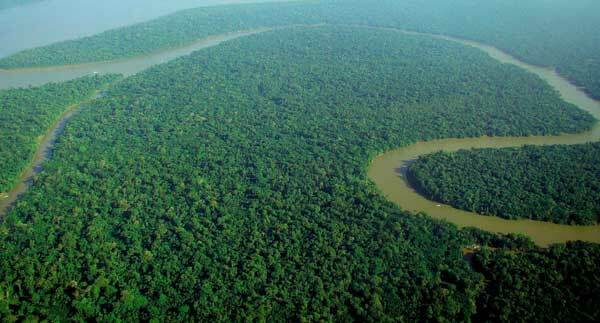 Amazon is the largest rainforest on the earth. It receives about half of the rainfall that happens all around the world. Rainforests are so dense that, it takes about 10 minutes for a raindrop to fall from the canopy layer to floor. South African rainforests have 8000 species of plants that grow only there. 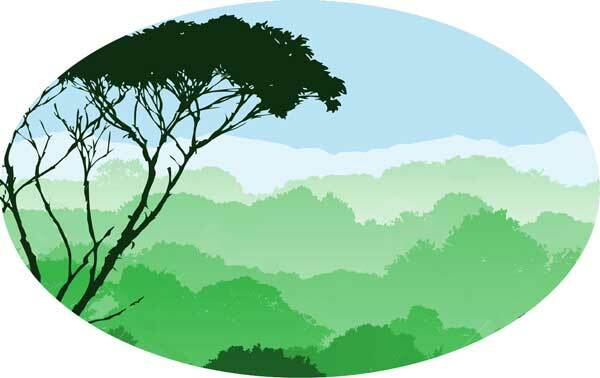 Abdul Wahab, "Rainforest," in Science4Fun, April 13, 2019, http://science4fun.info/rainforest/.